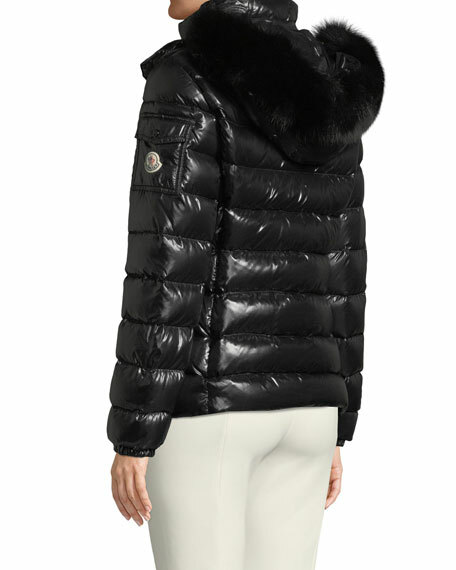 Moncler "Badyfur" puffer coat with removable hood. 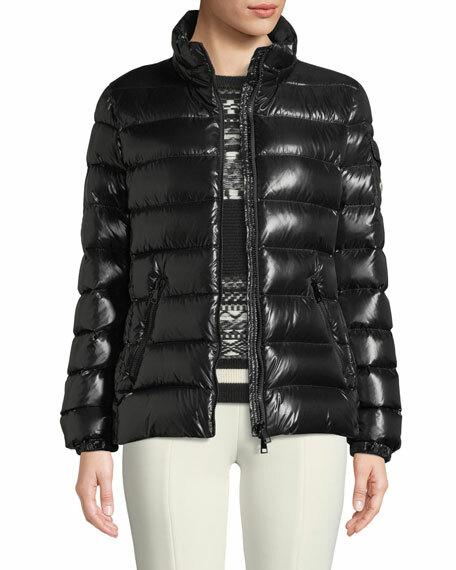 Funnel collar; detachable hood; two-way zip front. Features dyed fox (Finland) fur trim at hood. Long sleeves; logo patch/pocket at left arm.